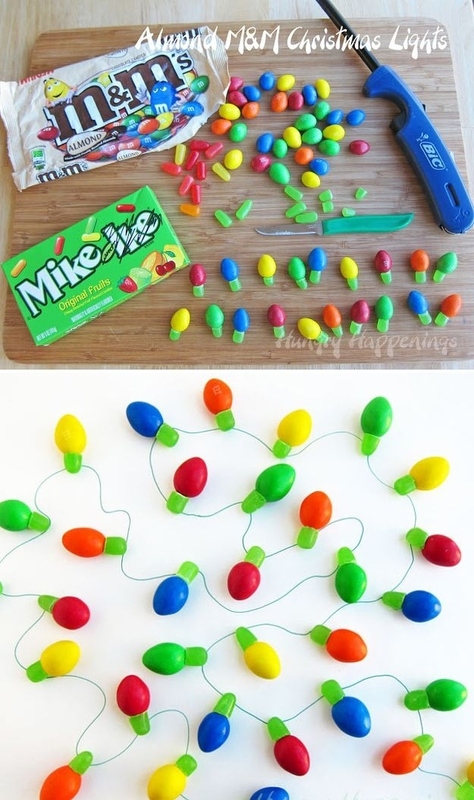 26 Holiday Hacks to get you through! 1. 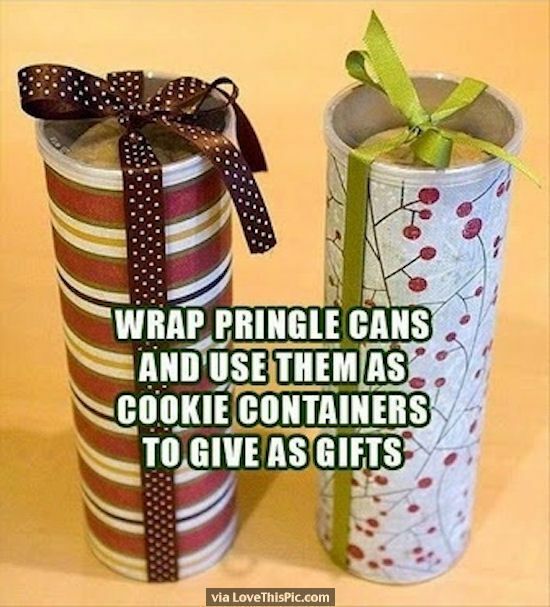 Wrap prings cans and use them as cookie containers to give as gifts. 3. 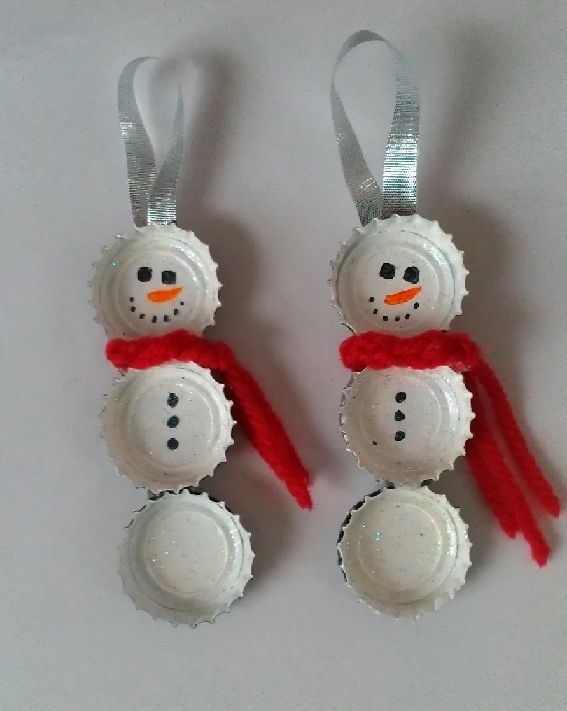 Use egg cartons to store your smaller ornaments. 4. 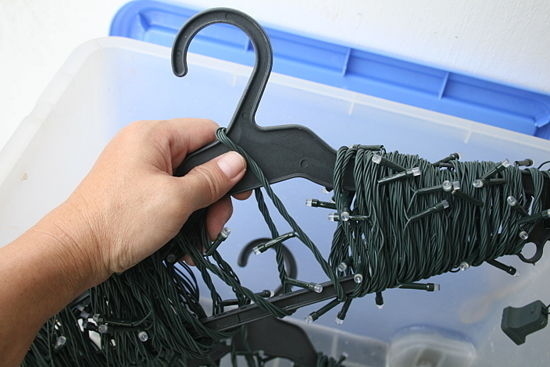 Wrap Christmas lights around a hanger to keep them from getting tangled. 5. 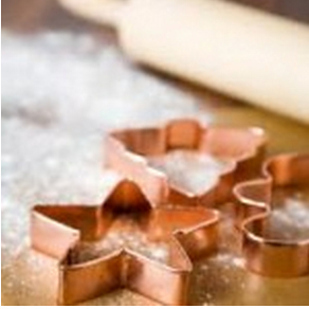 Making gingerbread cookies? 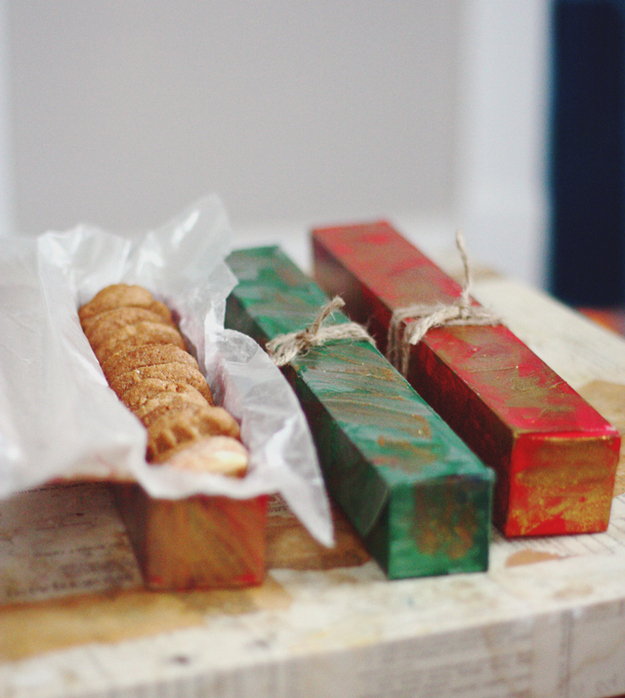 Turn them into ornaments that will last for years with three coats of varnish. 6. 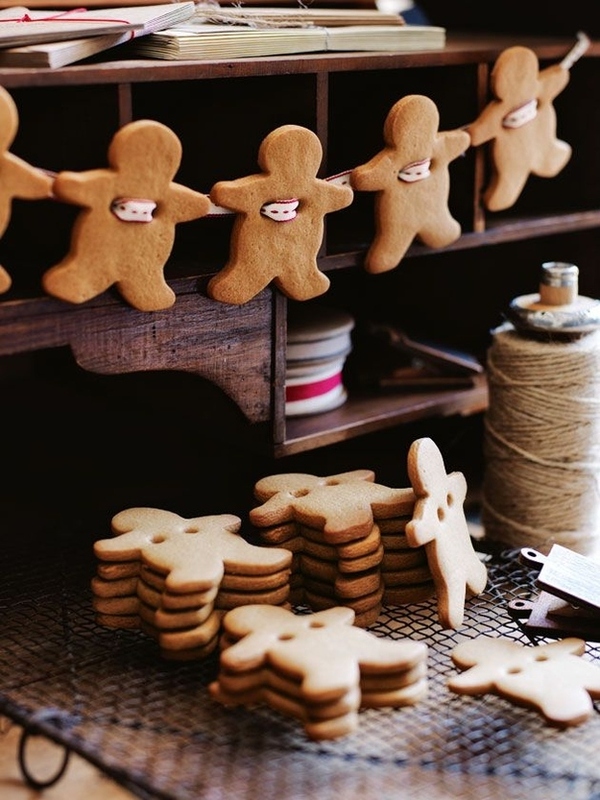 Making gingerbread cookies? 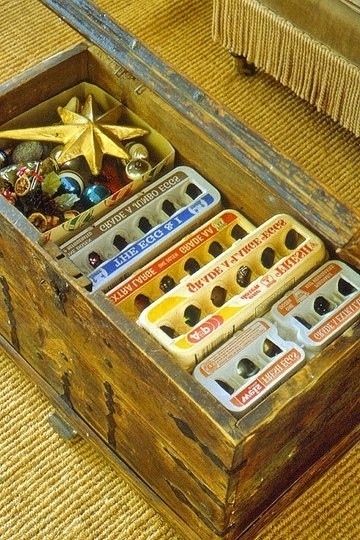 Turn them into ornaments that will last for years with three coats of varnish. 7. 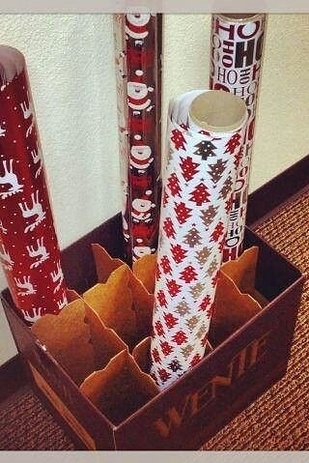 Old Saran wrap or aluminum foil containers make great boxes for gifting cookies. 8. 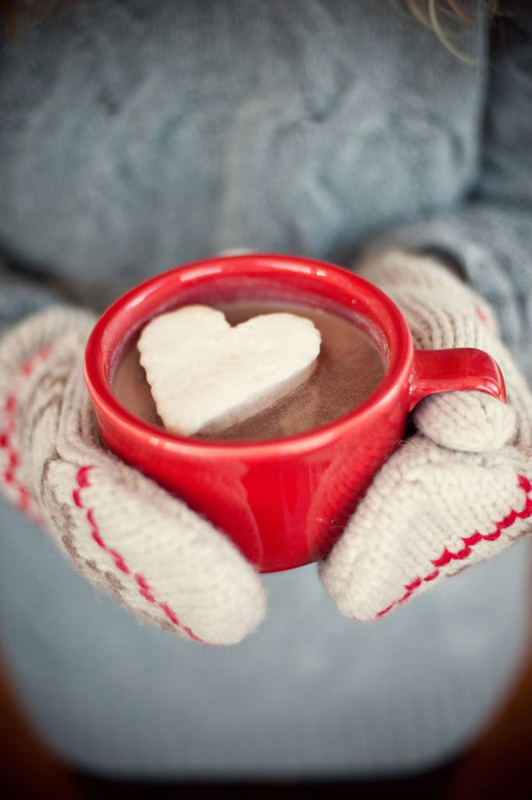 Freeze whipped cream on a cookie sheet and use a cookie cutter to make hot chocolate hearts. 9. 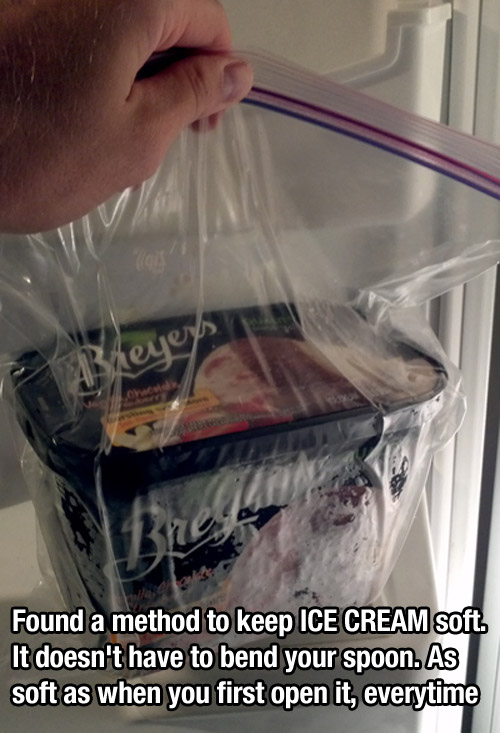 Store your ice cream in a plastic bag to keep it soft and ready to serve. 10. 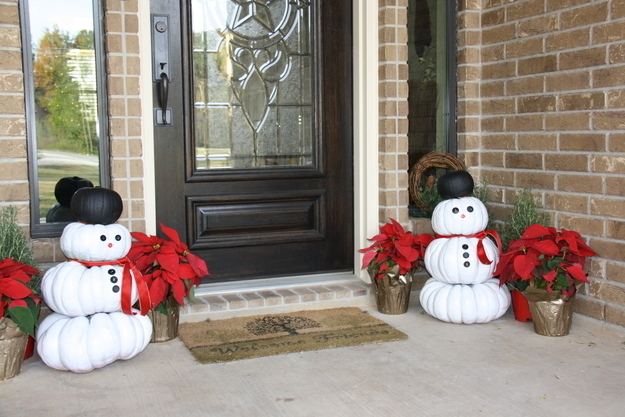 Reuse your leftover Halloween pumpkins to make snowmen. 11. 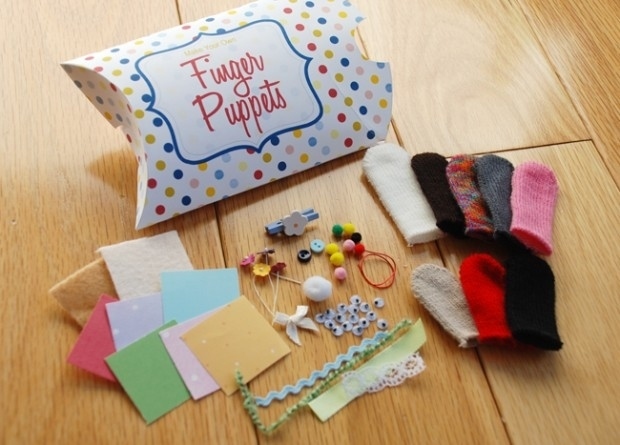 Cut off the fingers of gloves to make an adorable finger puppet kit. 12. 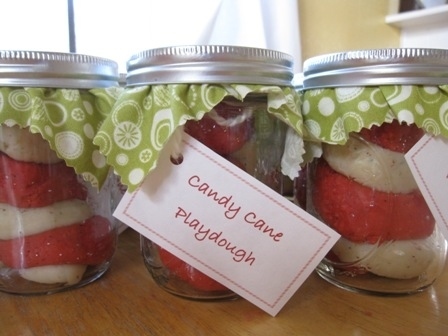 Jars of candy cane Play-Doh makes an insanely easy gift for children. 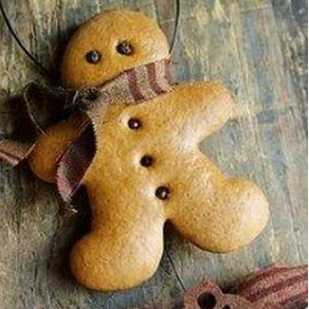 Pretzel rings, Fruit Roll-Ups, and frosting are an easy way to make delicious snowman cookies. 13. 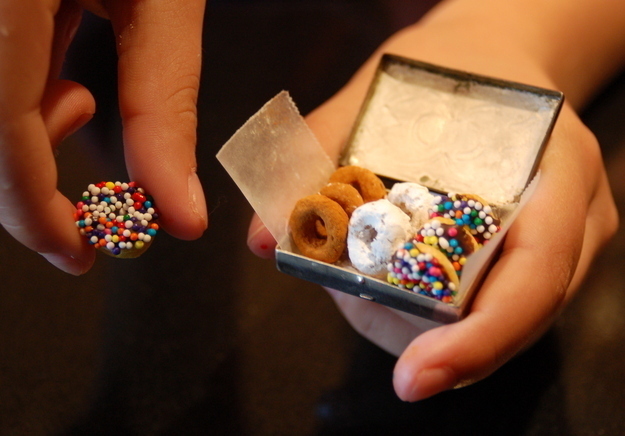 Make adorable “elf” donuts out of Cheerios. 14. 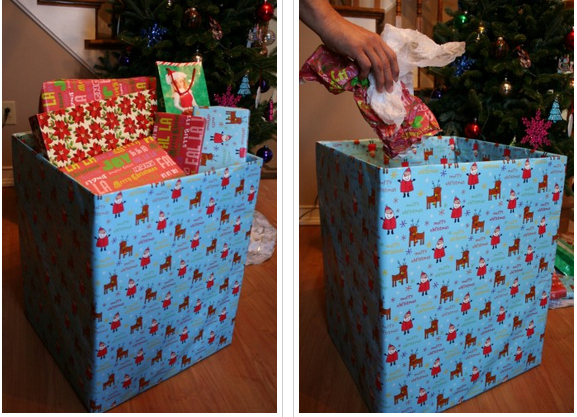 Use a cardboard box wrapped in gift paper as your garbage receptable on Christmas morning. 15. 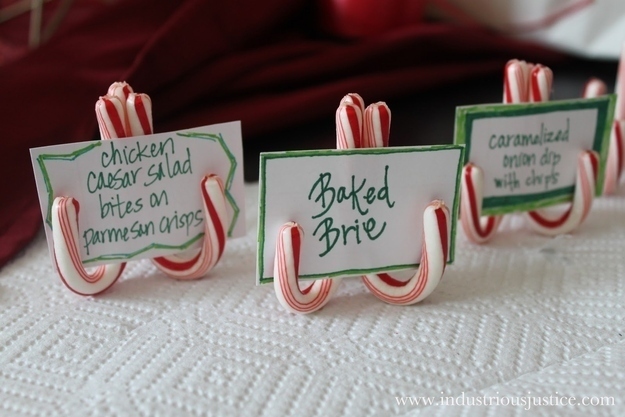 Glue two candy canes together to make easy place card holders. 16. 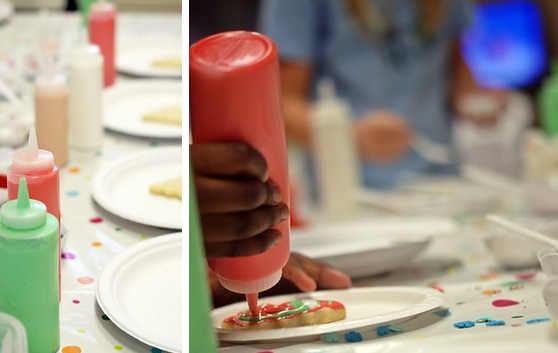 Load your icing into condiment bottles for an easy cookie decorating party. 17. 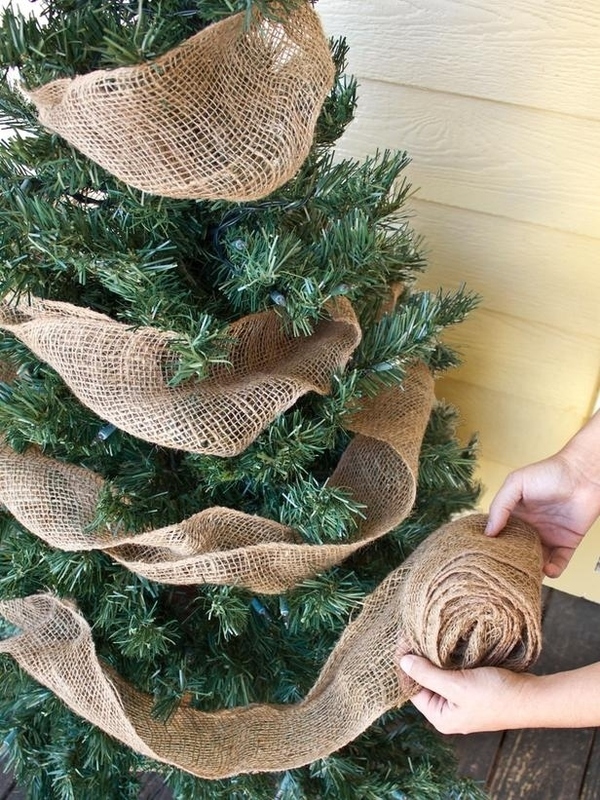 Just a simple burlap garland will spruce up any front porch Christmas tree. 18. 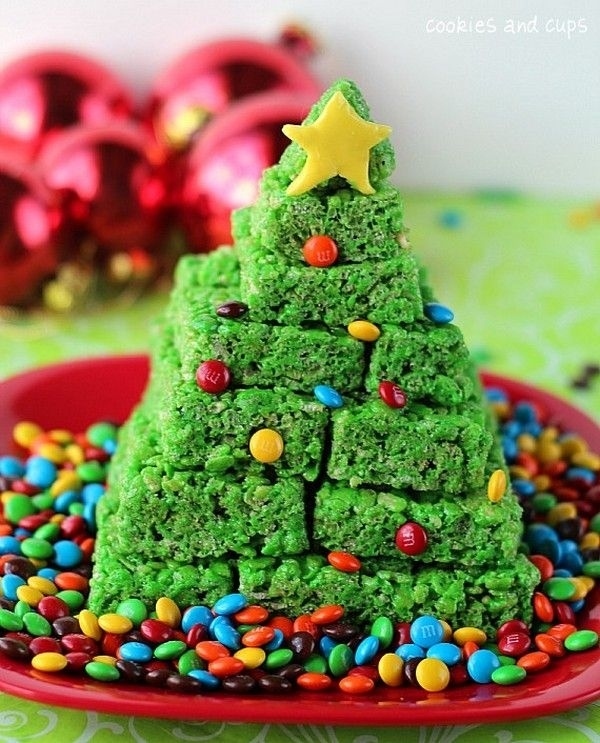 Green food coloring and M&Ms turn Rice Krispie treats into a Christmas dessert. 19. 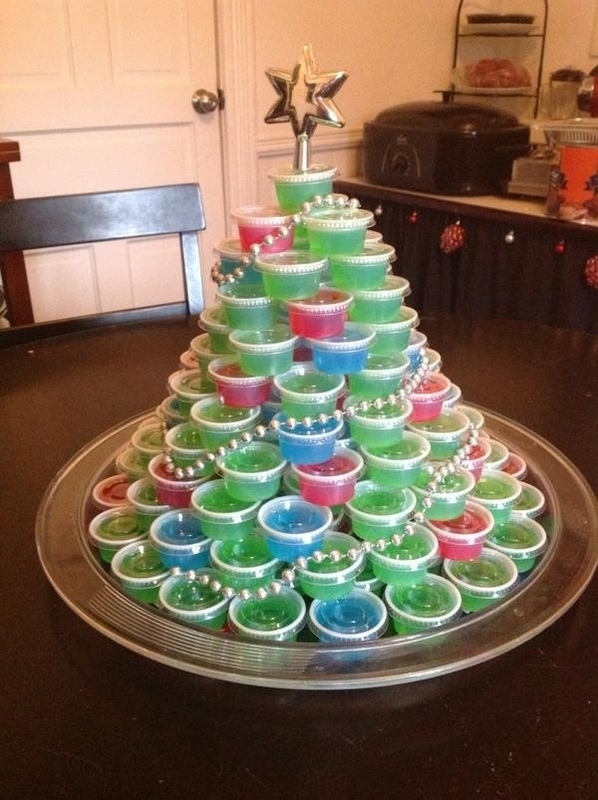 For the adults: one made out of JELLO SHOTS. 20. 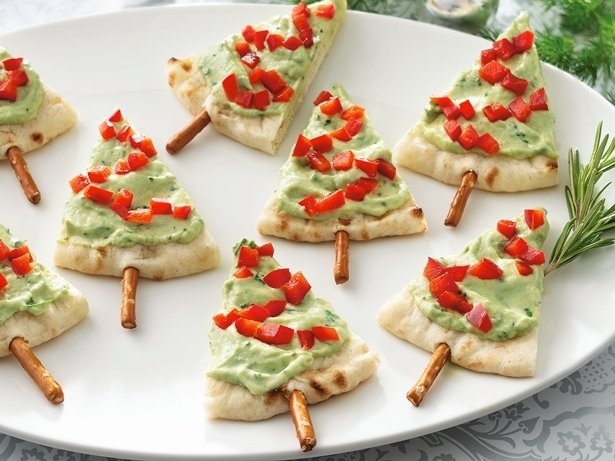 Serve guacamole the festive way with pita bread and pretzel sticks. 21. 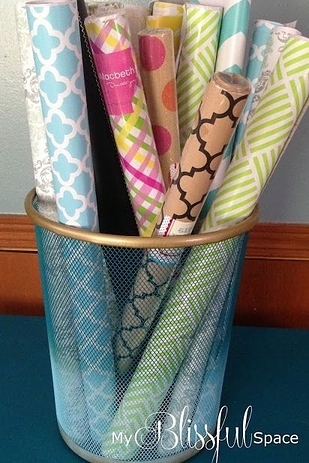 Reuse a wastebasket or a wine crate to corral your wrapping paper. 22. 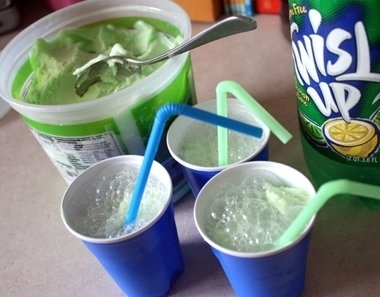 Green sherbet and Sprite make fun Grinch-inspired drinks for the kids. 23. 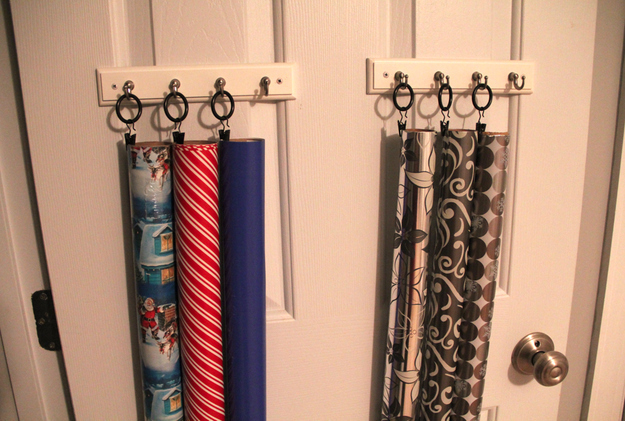 Hang your wrapping paper on hooks using curtain rings. 24. 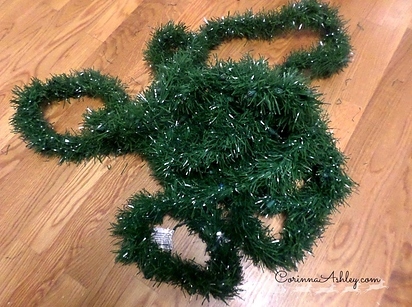 Got an ugly Christmas sweater party to go to? 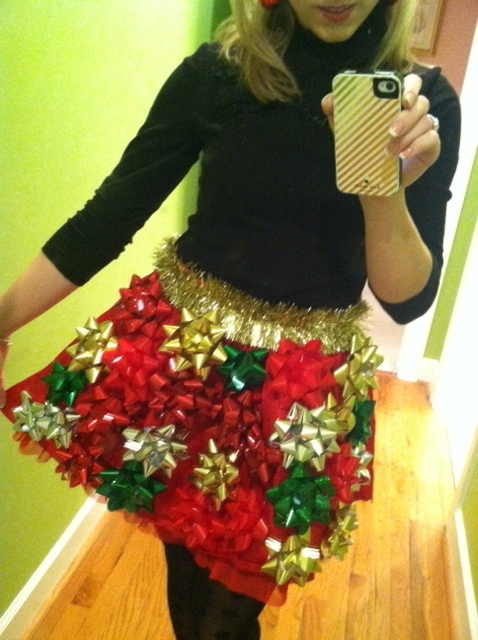 Hot glue tinsel and gift bows to make something spectacularly tacky.